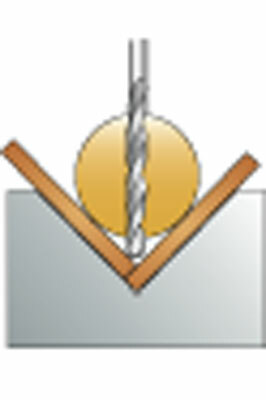 Following on from the last issue (Woodturning 199) we are now going to take a look at drilling methods and devices. Drilling on the lathe looks like it will require a further article in the next issue to try and do justice to the fundamentals theme; new thoughts and underused methods keep adding to the list of things to cover. 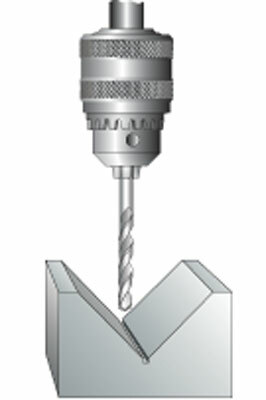 With a few exceptions, a drill chuck is the important link between the cutting bit and the workpiece. Its accuracy, gripping power, and durability are linked to the choice and price you pay. It's a simple equation: If you want to avoid problems, buy a good one. This also applies to the Morse taper shank it is fitted to. 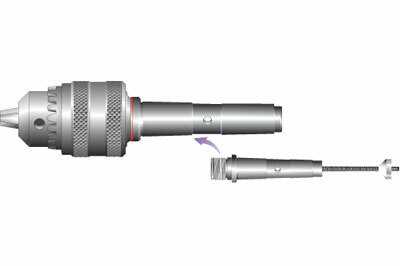 The example illustrated in Figure 1a has a screw on shank with the common 12mm x 20 tpi international thread fitting, and is interchangeable with different Morse taper sizes, and other tooling, including the facility to take a drawbar - this feature obviates the risk, and damage, that can be caused if a shank comes loose whilst you are drilling. Larger chucks are available, but most bits can be accommodated in a 13mm (1/2in) capacity model, and in that size the smallest drill bit that can be held varies, but as a general rule 1.5mm (1 1/6in) is about the limit, but not always satisfactorily. 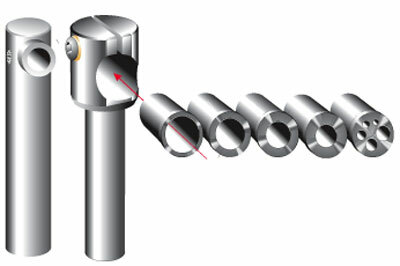 For small bits a pin chuck is recommended (as shown in Figure 1b). For accuracy, and the effective gripping of 2mm (5/64in) diameter, or smaller bits, they should be held in a pin chuck, and sub-mounted in a standard 13mm (1/2in) capacity drill chuck. Note: Some larger capacity drill chucks, of say 16mm, may not be very effective even on 4mm (5/32in) diameter bits. Is there a problem, and why? Well, yes, there is a problem; it's largely because the fibres of the wood are heading in the wrong direction. In other words, they are in the similar alignment as the axis of the drilling bit, and therefore, the rim lips, or spurs, which work so effectively on cross-grain work, are simply rubbing against the fibres, not cutting them. There is also a fairly widely held view that it's difficult to maintain the true axis of a hole in end-grain. Or put another way, there is a tendency for the bit to 'wander' off its true line, or axis. Part of the wandering bit problem may be apportioned to poor tool maintenance, otherwise known as blunt edges. However, there is an issue about end-grain drilling because wood is not homogenous - it doesn't have uniform consistency. For the reasons mentioned, the variant version of a spur bit would be a better choice. Smaller bits are most affected by this, and therefore the types shown would be preferred. 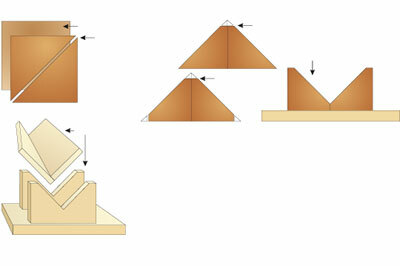 Larger bits should be less affected by this problem due to the resistance created by the corresponding wall contact area. Here, the blue squares represent how a log may be cut to obtain the highest percentage of saleable sections. This leads to stock (pieces of timber) having considerable density variations from the pith at the centre of the branch, or trunk, through the heartwood, and into the varying densities of the sapwood. This shows roughly how a workpiece turned from the blue square stock would be affected. The coloured zones roughly indicate the way various timber densities would be in the turned workpiece, with the red arrow indicating the direction of the 'least line of resistance.' Drilling or boring bits will seek this softer option, and the cutting edges will tend to deflect, or veer, from the intended axis. In other words, from the harder to the softer material - in line with basic physics. The problem is not just in starting a hole concentrically in end-grain, but also in maintaining it, because the hardness differential will continue throughout the length of the hole. We may return to some of the more obscure, and interesting bits later on, but for now it's time to look at the actual drilling operation, and the methods of guiding, or coaxing the bit to make its way into the workpiece where we would like the holes to be. Here we see two typical drilling guides designed to fit in the toolrest socket of the toolstock assembly - also called the banjo (for reasons I've never quite understood). 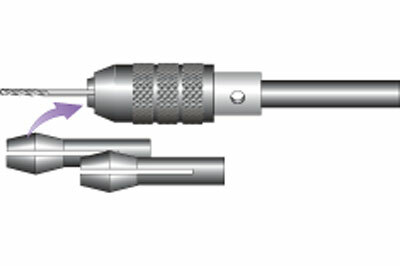 Providing you have a fairly accurately manufactured lathe, this should provide a drill guide axis that is reasonably horizontal, and does not allow a correctly sized shank to wobble about. Here we see a fairly ambitious, but still understandably limited range of bores, versus the plethora of bit sizes available. Most such guides would have somewhere between three to seven sizes of bush. Likely available range: 3mm (1/8in), 4mm (5/32in), 5mm (3/16in), 6mm (1/4in), 8mm (5/16in), 10mm (3/8in) and 12mm (1/2in). 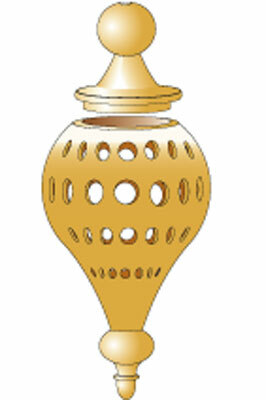 For accurate drilling there is no better general-purpose design of guide available. However, there are a number of considerations to be taken into account: Cheap bits sometimes have vaguely approximate sizing. Eg: Bits marked 6mm and 6mm (1/4in), or 12mm (1/2in), and as we know, a quarter of an inch is actually 6.35mm, and half of an inch is 12.7mm - they cannot be both. The result is questionable bit guidance, or bits that jam in the bore. 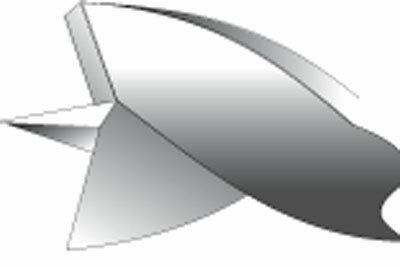 Moreover, this type of guide has some risks, and limited value when using sawtooth or Forstner bits as they could easily be damaged, and there is little axial guidance because the contact area between bit and the guide bore is very small. Also the cutting lips of the bit needs to be beyond the rim of the bore before drilling commences. Spade bits, of course, are obviously not safe in this, or any other sort of drilling guide. A decent wooden 'vee' block should last a few years, and as it's a very useful accessory for many drilling jobs, it's worth making it out of good stock - seasoned, stable, and free from splits, etc. lime, or similar would be a good choice. If lacking equipment or experience, then this method of construction should help. Now for a bit of DIY toolmaking, starting with a toolpost guide, which is simply a design adaptation of the metal ones featured on the previous page. Against the downside of being prone to rapid wear, and being relatively soft as a material, nevertheless wooden guides have some advantages over their stronger metal cousins; they cost virtually nothing to make, and will definitely match the fit of your drilling bit - largely because it's likely you'll use the same drill bit to make the guidance hole. Also they are quick and interesting to make, and will, if used sensibly, are serviceable for quite a few projects. 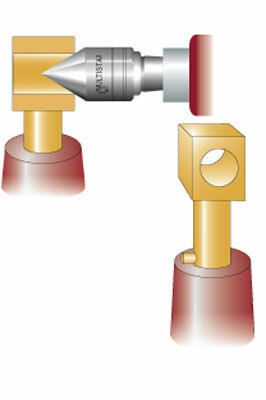 Getting the drilling bit aligned with the workpiece on the lathe can be done at the point of drilling. However, the whole purpose of guides and jigs is to get the geometry in place as part of the tool making, and before starting to turn a workpiece. So having made a toolpost guide, take a moment to establish the centre height at which the drilling bit is intended to operate. Eg: Usually the same height as the axis centre line of the lathe. 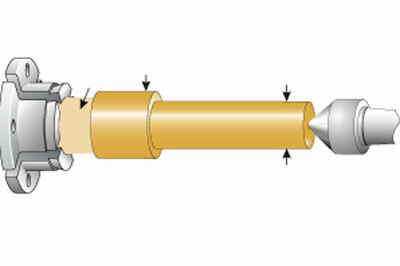 If so, this can be done by placing the guide in the toolpost, and locating the borehole centrally on the tailstock centre (see Figure 5a). 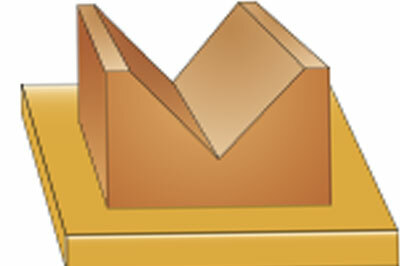 The head section can be left square by choice, or for strength to accept larger bores as shown here. With the guide in position, tighten the stem of the guide in the toolpost, and either draw a pencil line around the stem, or better still, drill a short hole flush with the top face of the rest and fit a matching stop dowel (as shown in Figure 5b). 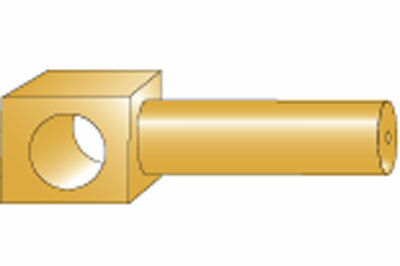 The stop dowel is a more positive arrangement, and will ensure the bit is always at its correct drilling height, irrespective of what horizontal radial angle you require. 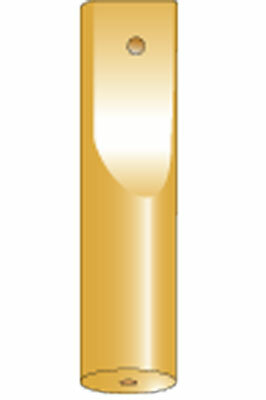 To accommodate the relatively shorter lengths of small drill bits, the top of the guide shank can be shaved away (as shown in Figure 5c). 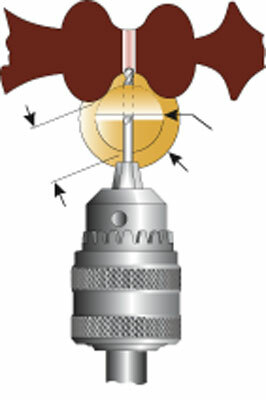 The diameter at the head of the stem can also be reduced to afford better access to a small workpiece, such as a lace bobbin (as shown in Figure 5d). 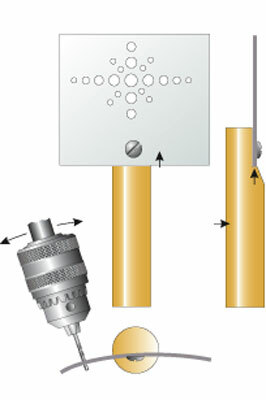 To drill a series of holes in an object like the hanging pomander (shown in Figure 6a) requires a method to control drilling accuracy. A metal guide plate would be a practicable solution, using a wooden stem again, but this time with a ledge to keep the plate parallel. 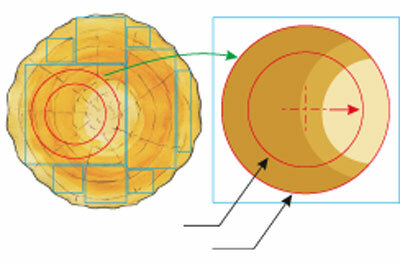 Figure 6b shows a typical multi-size hole pattern that could be repeated at various indexed intervals 0 (see article in issue 192 of Woodturning). The ideal material for a guide plate would be aluminium, because it can be easily bent after drilling the pilot holes to the shape of the workpiece.